The dyeing method, an inventive version of tie-dye, creates a gradient pattern evocative of fishing nets and misty beaches. Cuts entwine and create a contrast between patterned areas and block colour. 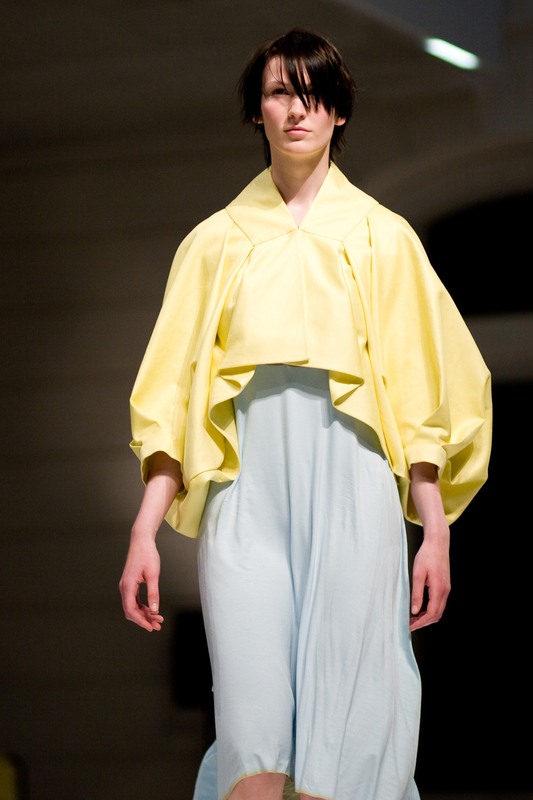 Cut-off “scraps” from one design inform the design of another garment, a lemon-coloured jacket folds around the body with butterfly wings and invites the embrace of another human being.